Still happy in his work. Hugh Curran is happily working on into his 66th year – because he admits his previous flirtation with retirement drove him mad. The exiled Scot was due to put his feet up and take life easier when he turned 65 in the last few days of September. 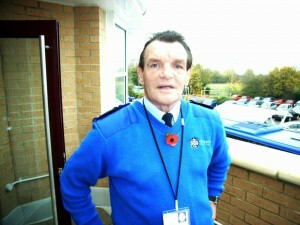 But he wants to carry on for some time yet in his role as a superviser at the Thornhill station of Oxford’s park and ride service. “I enjoy my work and it puts some extra money in my pocket,” said the forward who scored 47 goals in only 98 Wolves games in the late 1960s and early 1970s before falling victim to the emerging Dougan-Richards partnership. “I also enjoy the exercise it gives me and I’m lucky I haven’t put much weight on since I finished playing. “I basically retired when I came out of the licensing trade four years ago and thought I’d be spending the rest of my days on the golf course. But I was bored to tears after a while and decided to look for some alternative work. Curran had to be almost as adapable in his time behind the bar as he was in a football career that took him to Manchester United, Norwich, Millwall and Bolton as well as to Molineux and the Manor Ground. He had four different establishments called The Red Lion – three in Oxfordshire and one in London – and at one time spent more than five years back in Scotland (near Lanark) running a hotel. His renown has spread further, though, than Great Britain. By heading home Wolves’ winner against Sunderland at a wintry Molineux in late November, 1969, he scored the first goal ever broadcast from these shores to live TV in Scandinavia – one of the main reasons why the club command such support in those countries. 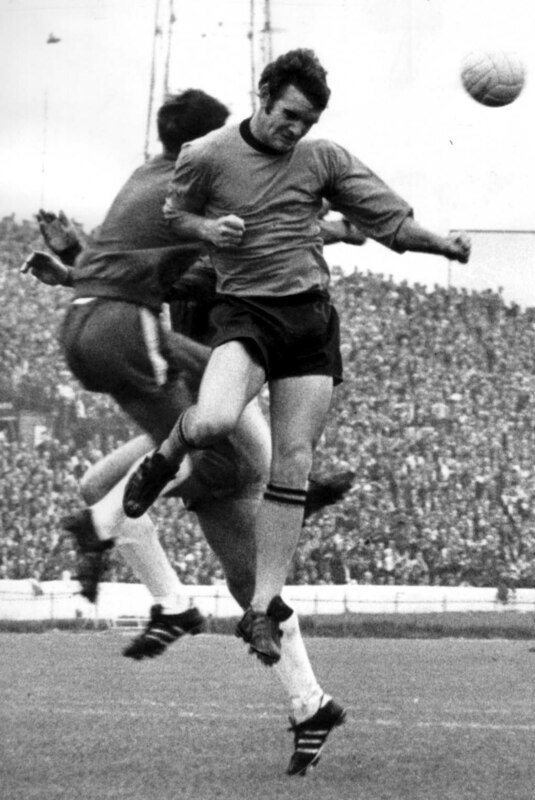 Curran threatens Chelsea's goal in the autumn of 1969 - a 2-2 draw in which he scored both Wolves goals. “In about 1993, a TV crew from Sweden persuaded Dave Wagstaffe and me to go out on the pitch at Molineux in our gold shirts and recreate that goal against Sunderland,” Hugh added. “Waggy was working in one of the bars at the stadium at the time and I remember telling him not to make me jump too high for the cross because of my knees! * Curran’s debut was in the 1968-69 staging of the Wolves v Burnley fixture that produced another happy outcome at Molineux yesterday. The score 40 seasons ago was 1-1, with Peter Knowles scoring the Wanderers goal. Posted on: Sunday, November 9th, 2008.